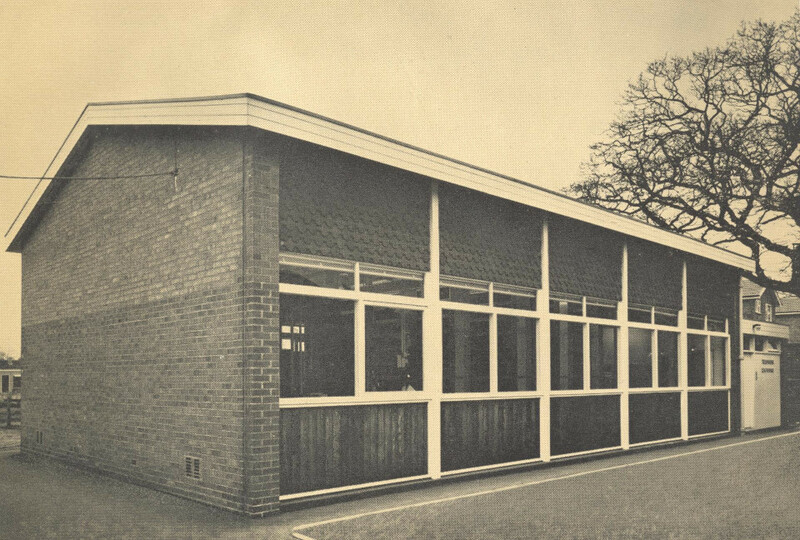 On November 23rd 1964 a new telephone exchange was brought into service at Broughton near Preston. Unlike all other automatic exchanges in the UK at this time, Broughton was a Crossbar system. 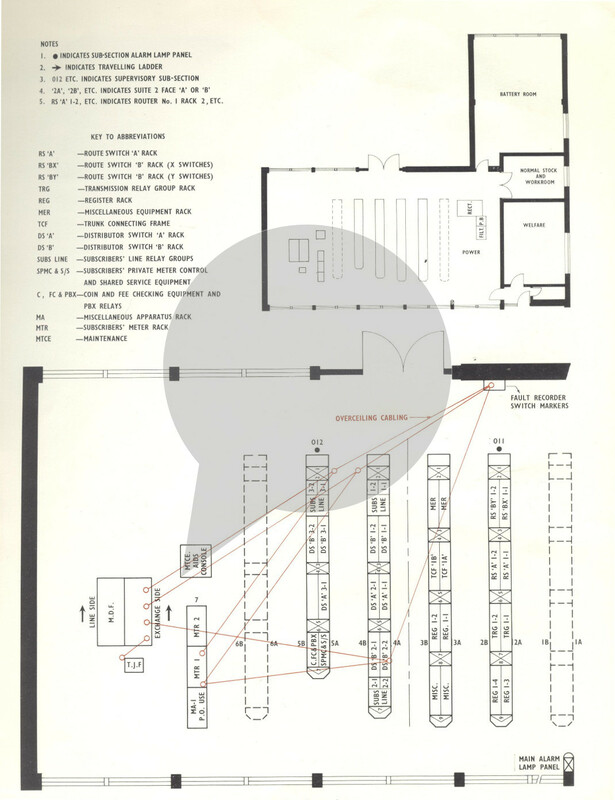 To mark the 50th anniversary, here we look through some of the material The Communications Museum Trust has in it's archives and explain what Crossbar was. The British General Post Office (GPO) had resisted adopting crossbar up until this point, preferring to stick with Strowger until a viable electronic system could be developed. 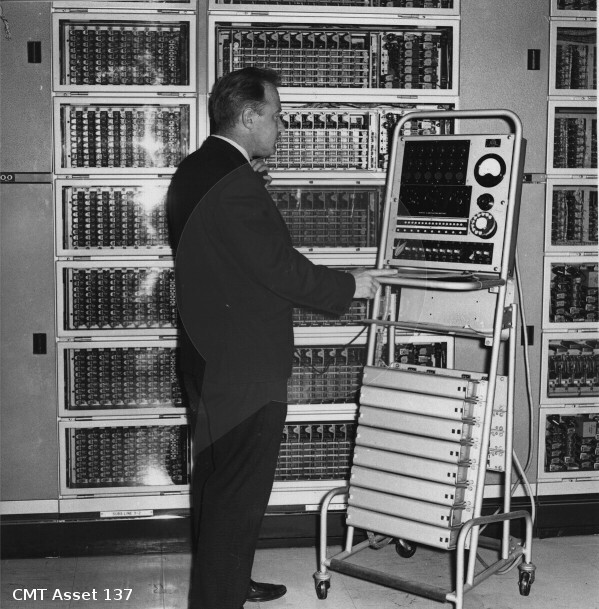 The three suppliers of switching equipment to the GPO (Plessey, GEC & STC) however faced a problem. The rest of the world had adopted crossbar and export orders for Strowger were declining. The Plessey research and production site at Edge Lane Liverpool had therefore developed a crossbar switching system called 5005 which they hoped to sell to export customers and were pushing the GPO to adopt it in the UK as well. Therefore the GPO agreed to a field trial of a Plessey 5005 crossbar system which would serve two purposes - give the GPO experience of operating a crossbar system and give Plessey a real-world exchange which they could show to potential overseas customers. New exchanges are typically designed to expand to handle the anticipated traffic and number of lines over a 20 year period. This gave Broughton's new exchange a planned ultimate capacity of 2500 lines, with an initial installation to cater for 1200. By 1973 it was serving 1800 lines and by 1983 it was serving 2800. With the large reed-relay electronic system delayed (it would not be ready until 1976) the success of the Broughton field trial convinced the GPO to adopt the Plessey 5005 crossbar system for installation nationwide with rollout starting in 1968 (The first being at Bacup, Lancashire). The Broughton equipment would remain in service until August 11th 1993 when it was replaced with an Ericsson AXE digital exchange remote concentrator. The last Crossbar system in the UK was removed from service at Droitwich in March 1994. 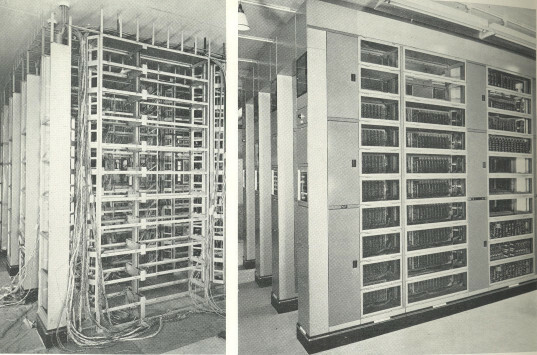 The Plessey 5005 system installed at Broughton was given the type designation TXC1 (Telephone eXchange Crossbar No 1) with Strowger exchanges then becoming known as TXS. With the installation of the first electronic TXE exchange 2 years later, it was decided to change TXC to TXK as C and E sounded too similar! Interestingly when System X digital exchanges were introduced in 1980 they were referred to as TXD even though C, D & E all sound similar! 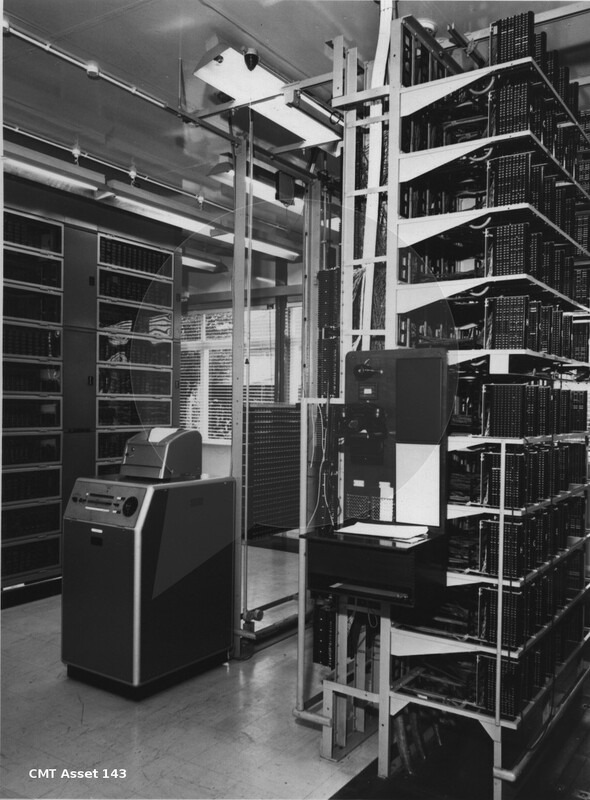 TXK1 was the Plessey 5005 crossbar system used in local exchanges (those with customers lines directly connected to them). 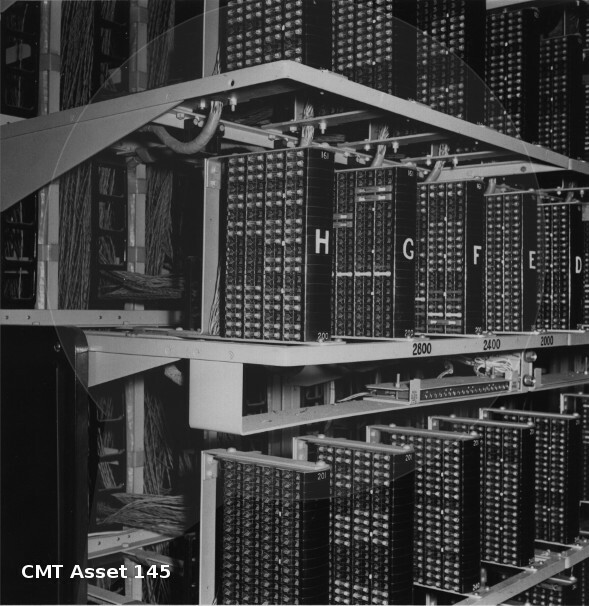 TXK2 was the Plessey 5005 crossbar system used as a tandem exchange (an exchange which doesn't directly serve customers, it just interconnects other exchanges). TXK3 was the designation later given to STCs crossbar (The STC BXB) system when it was introduced in 1973. TXK3s were used only in areas with Director Strowger exchanges, instead of a TXK1. With the exception of Northern Ireland where TXK3 was used and there were no TXK1s. TXK4 was the designation given to STCs BXB system used as a trunk tandem exchange. The long distance (trunk) exchanges were all swapped to crossbar in the 1970s and were in turn replaced with System X in the 1980s. Broughton had direct links (junctions) to the main exchange at Preston, it was not directly connected to any others. All calls from Broughton which were destined for another exchange were routed via Preston. Broughton-Broughton traffic accounted for just 6% of the calls made. 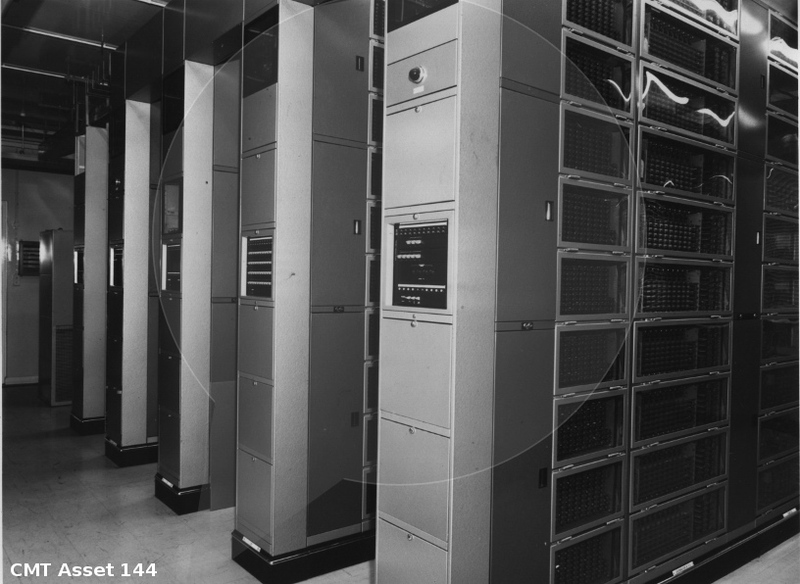 Customers numbers were initially allocated in the range 2000-3199 requiring 3 distributors (2 racks each). The first two distributors were fully equipped for their maximum of 500 lines, the third was initially provisioned for 200. As the exchange grew, extra equipment would be added to this distributor to take it to its maximum of 500, then further distributors would be added. Distributor 3 was fitted with Coin & Fee Check equipment to handle telephone kiosks. The heart of a TXK1 exchange is the router, which is the core switching part, interconnecting the distributors and the junctions in and out of the exchange. At Broughton there was 1 router. The Broughton crossbar equipment was painted green and grey - Plesseys standard colour for their new crossbar system. Later installations would be standard GPO Light Straw!